It is official, Marvel released an official statement declaring Vin Diesel as the voice of Groot for the upcoming Marvel Studios film, Guardians of the Galaxy. Read the official Release below. 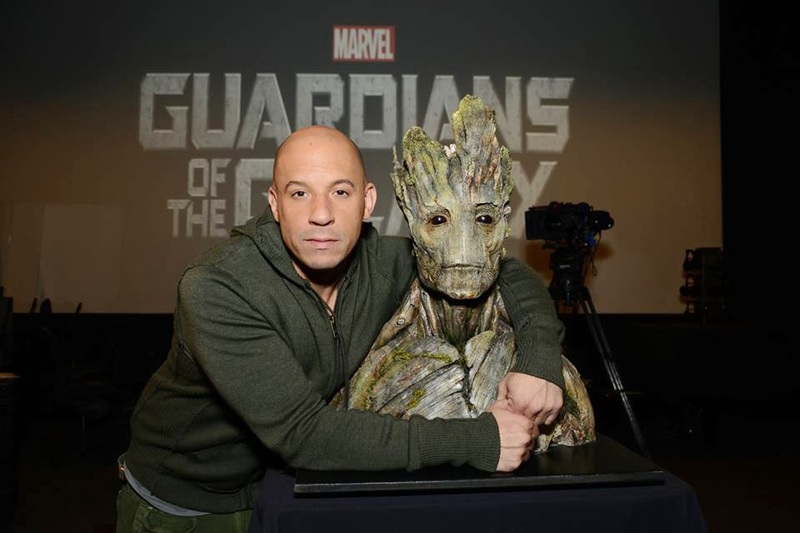 The star of the Fast and the Furious and Riddick franchises will lend his voice to Groot in Marvel's live-action "Guardians of the Galaxy," rounding out the team that includes Star-Lord (Chris Pratt), Rocket Raccoon (Bradley Cooper), Gamora (Zoe Saldana) and Drax (Dave Bautista). In addition to "Guardians of the Galaxy," Marvel Studios will release a slate of films based on the Marvel characters including "Captain America: The Winter Soldier" on April 4, 2014; "Avengers: Age of Ultron" on May 1, 2015; and "Ant-Man" on July 31, 2015. I know to some this is a good news. But if there wil lalways be some ho hates it. Love it or hate it? Voice out your opinions in the comments. Coming next year, to be distributed by Walt Disney Pictures.